Our team is composed of committed snow avalanche specialists, engineers, and technicians with diversity of experience and qualifications. Brian has over 25 years of experience in the field of avalanche risk planning and mitigation, and provides senior review for all services. In addition to being a Professional Engineer specializing in snow avalanche hazards he is also an internationally certified and licensed Mountain Guide (ACMG/IFMGA) and long time Professional Member of the Canadian Avalanche Association (CAA). He is a senior instructor/examiner with the CAA Industry Training Programs and regularly instructs on the mapping and operations courses. Brian has extensive background in several industry sectors including hydroelectric & energy, forestry, recreation, transportation and mining. He also has worked with numerous government agencies as well as academic programs specializing in snow avalanche hazards. Brian provides active oversight for the many avalanche risk control programs that Alpine Solutions manages. Cam has a diverse background of experience which includes snow avalanche studies (U of Calgary, Civil Engineering dept. ), operational avalanche work in the ski, highways, and industrial sectors, and risk assessment and planning for industry. His Engineering Licensee designation qualifies him to provide professional opinion within the scope of avalanches and snow science. Cam has worked on projects in Canada as well as South America, and was Chair of the Canadian Avalanche Association Technical Committee until 2014, at which time he took on the role of Principal Investigator for the CAA FARAM (Framework for Avalanche Risk Assessment and Mitigation) project. Cam's knowledge and experience with GIS systems and avalanche modeling programs provides significant value to projects he is involved with. Before transitioning into work with Alpine Solutions in 2011, John accumulated over 30 years of experience as a Senior Avalanche Technician for the BC Ministry of Transportation in the Kootenay Region. He is the recipient a BC Premiers Award for his service to the Province of British Columbia in helping to keep BC highways safe from avalanches. 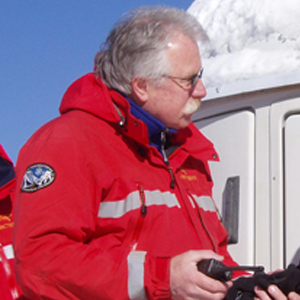 John's extensive experience in avalanche risk management provides a depth and perspective to our avalanche risk management programs. Scott has a balance of both field and analytical experience with snow avalanches. 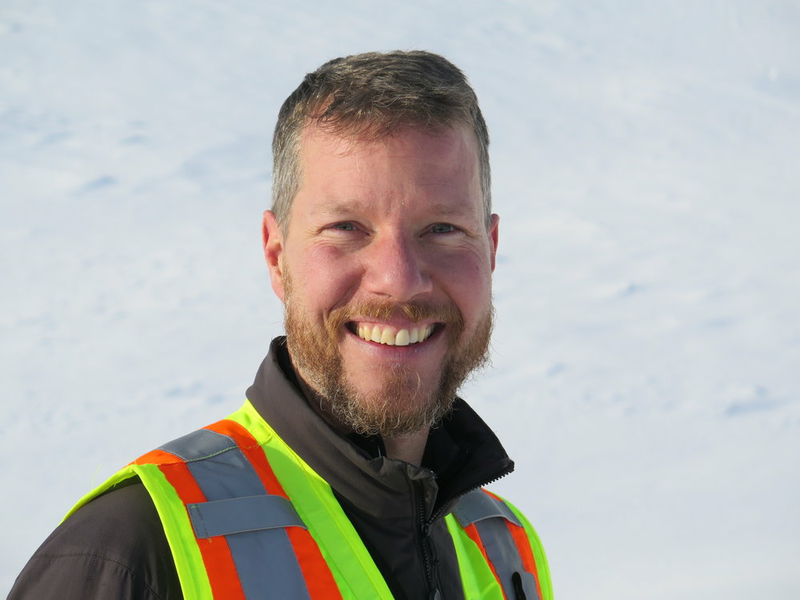 After graduating with his PhD in civil engineering specializing in avalanche mechanics from the University of Calgary, Scott worked as a post-doctoral fellow at Simon Fraser University on avalanche risk management projects. In addition to his work with Alpine Solutions, Scott is an ACMG certified ski guide and works as a helicopter guide with Canadian Mountain Holidays. As a Professional Engineer he has project experience in high arctic field operations and snow avalanche risk management. Dary is a long time avalanche professional with over 25 years of in depth experience with avalanche control, instruction, and guiding. In addition to our training programs, Dary has worked for the past few years on our avalanche safety programs in the Yukon, NWT, and Coastal BC areas. His extensive background and experience in industrial and construction settings means he is quick to get the 'big picture', and as a result he often provides high value to any project he is involved with. Dary currently resides in Whistler, BC. André-Jean began working as an avalanche technician 20 years ago in the Chic-Chocs Mountains of Quebec. Since moving to British Columbia in 2004 he has worked extensively in the ski industry as a Ski Patroller, Avalanche Technician and Forecaster. Trained as a paramedic, he also spent several years working as a remote worksite medic in the Canadian Arctic giving him an in-depth perspective on industrial site safety and the challenges of operational risk management. Based in North Vancouver, Peter has a diverse portfolio including avalanche training with Search and Rescue groups, Avalanche Forecaster for the CAC Public Avalanche Warning Service, and extensive mapping and atlas work with several Alpine Solutions projects. 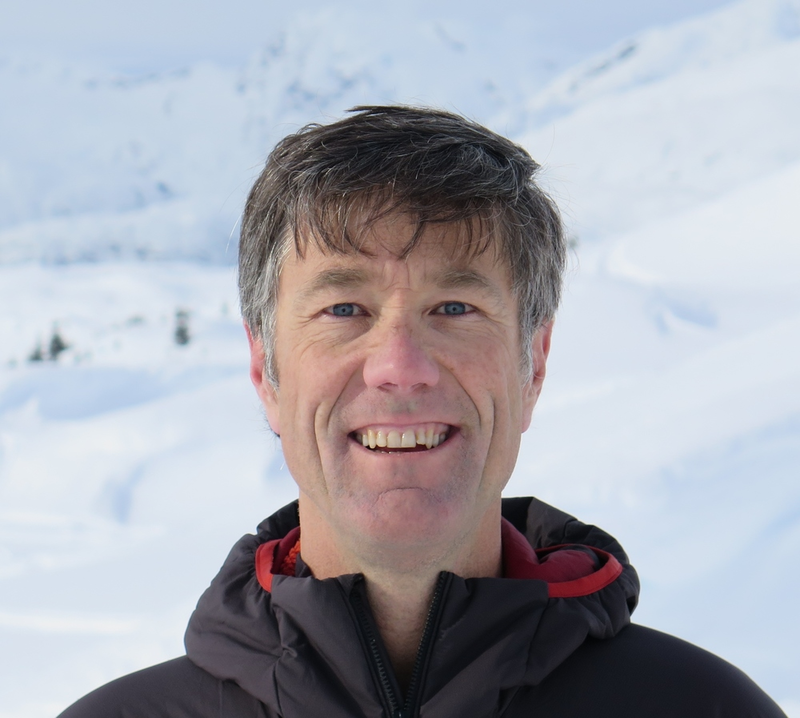 He currently a Course Leader for the Canadian Avalanche Association professional mountain weather courses, and is a subject matter expert for the CAA mapping and weather courses. Tom has worked in the snow industry since the 70s, and has a several decades of experience in avalanche hazard management. In addition to work with Alpine Solutions, Tom provides his expertise as Avalanche Technician for the BC Ministry of Transportation and Infrastructure based in Terrace BC. In addition to being a certified guide with the Association of Canadian Mountain Guides (ACMG) and a recognized specialist in avalanche risk management with a focus on avalanche policy and program development, Ian spent the last 11 years with the Canadian Avalanche Association/Centre (CAA/CAC) as Executive Director, where he worked on many diverse avalanche related issues across Canada and internationally. For the past 2 years, Ian has been Executive Director for Helicat Canada. He has worked closely with many organizations on files including economic impacts of snow avalanche in Canada, fundraising for snow avalanche research and other public and industry avalanche safety needs. Ian has also worked closely with Canadian institutions involved in avalanche research for industry. He currently advises Alpine Solutions on business development, and Health & Safety matters.